Eco-Staff is immediately hiring qualified apprentice and journeyman electricians for a new construction project in Winchester, VA. 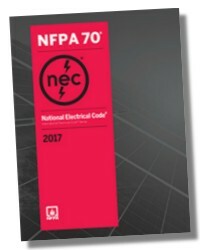 Basic duties include, ability to read and interpret blueprint and schematics for electrical system layouts of distribution centers, schools, churches, retail building and data centers, skilled at running and installing EMT from 1/2" up to 4", can utilize hand and foot benders to perform 45"s 90's, offsets, 3 and 4 point saddles, knowledgeable with installing and terminating lighting, panels, sub panels, transformers, switch gears and generators. - Must have own transportantion, Tools and PPE. We offer an amazing company culture, very unique to the industry! Upbeat, positive and fun...and the potential to make more money than anywhere else. We are looking for the best electricians, with great customer skills. If you are the best electrician you know and are tired of the slackers making the same dollars per hour as you, we are the place for you! Randy has been doing electrical work since 1978 and has been doing business in the Metro area since 2000. Randy's Electric has built its reputation by giving excellent customer service and completing the job in a timely manner. Installs, maintains and repairs home electrical. We want people who are outgoing and friendly with outstanding customer service skills. Provides technical assistance to clients and performs/oversees field installations and repairs. Document all services performed and actions carried on service. Responsible for completing small and/or job estimates, develop customers and maintain accounts. Establish and maintain excellent working relationships with customers. Proficient in most areas electrical service and all Randy's Electric processes. Journeyman’s license and 1+ years of additional electrical service experience. A recognized expert in multiple areas of electrical service. Must be able to complete conceptual estimates as well as hard estimate. Are you a rock star Electrician who knows electrical components of manufacturing equipment inside out? We’re looking for someone who is awesome at troubleshooting, loves a challenge, enjoys change and variety, and can produce positive end results. Performs all tasks as Industrial Electrician including: design and prepare new or modified installations per current electrical code including modification or drawing new prints or schematics as needed. Supports line management requests for electrical servicing. Trade school degree required. Electrician license or journeyman certificate. 5+ years experience to include trouble shooting skills, communication skills and familiarity with major components of a typical electrical control box with regard to industrial, electrical construction for commercial/industrial buildings. Must be familiar with electrical service equipment at 4160 volts. Merle Norman Cosmetics located in Los Angeles CA, develops, manufactures and distributes its own full line of skin care and color cosmetics products. Our products are sold through approximately 1400 independently owned and operated Merle Norman Studios in the United States and Canada. Merle Norman Cosmetics is committed to the values of individual dignity and personal growth. We place success in the hands of each employee and welcome energetic people with a positive can-do attitude. We offer excellent compensation, retirement benefits such as Pension and 401k plans and benefit package. If you or someone you know has the skills and experience please send an updated resume and salary history to mncresume5@merlenorman.com. No walk-ins please. This position is based at our Sylmar location in the San Fernando Valley. Project Managers are responsible for acquiring, managing, and completing projects for Delucchi Electric Inc’s customers in line with company’s goals, core values, and financial parameters. o Source projects with new and existing customers. o Create new relationships with customers and partners. o Maintain relationships with current customers and partners. o Manage financial aspects of contracts (progress billing, rental expenses, income/expenses, change orders, etc…) and keep an accurate Costing Report on all projects. o Must be able to: sit for long periods of time, stand, walk, type, carry objects, push objects, bend, and lift at least 50lbs. Delucchi Electric Inc is committed to creating a diverse environment and is proud to be an Equal Opportunity Employer. Applicants must be authorized to work in the United States. This position is not eligible for sponsorship. Delucchi Electric is a growing Bay Area Electrical Contractor. We want experienced, diligent, intelligent, and enthusiastic people who think outside the box. If you are passionate about going above your customers’ expectations, are excited about pushing the Bay Area's technological advances, and believe change is a good thing, then Delucchi Electric wants you to join our team. Our client, a commercial electrical, sign & lighting expert, is seeking an Electrician to add to their team. Since 1986, they have continued to grow and hire only the best employees to provide unparalleled service to their customers. In this role, you would be responsible for servicing, troubleshooting, and performing new installations in a commercial environment. Qualified candidates will have 5 years of experience in a commercial environment. Huge plus if a licensed electrician (Journeyman or Master). The selected candidate must be able to pass a drug screen, background check, and have a clean driving record. Don’t miss out on the opportunity to work a great company who is also very involved with the community. Apply today with your current resume for immediate consideration. Residential: New construction-homes, Basements, Troubleshooting, Service work, Barns, some Small Commercial, Industrial. Different projects, fun working environment. Run your own crew and be a member of the company team too. **Signing bonus if able to start within 3 weeks of contact. Need good driving record, valid drivers license and be legally entitled to work in the USA. Also need own hand tools. Work Colorado Springs to Castle Rock. Pay based on ability and experience. Paid holidays and vacation benefits. Experience with custom homes is a plus. Electrical License not required, if willing to obtain. Current licensed electrician would increase compensation. We are looking for a full time lead electrician to work for our company. We offer paid vacations, holiday pay, and competative pay based on experience. Due to the nature of our work, applicants must live no more than 45 minutes from our shop in Branchburg, NJ. All applicants must have own hand tools, speak fluent English, have a valid NJ drivers license and be legally entitled to work in the United States. I am an electrical contractor in Michigan. We do service on cell phone towers in the midwest and areas around the midwest. I am currently looking for an electrical contractor that would be willing to do service calls in the Minnesota area. We pay well. If you are interested please email me at alanogard@msn.com. Small company in Norco Looking to hire a certified journeyman electrician. Please email resumes to nkcroxton@charter.net. Electric contractor in need of Journeyman electricians. Skilled electrician with over 8 years experience is needed. Our company has been in business over 25 years. Neat, clean appearance is necessary. No criminal background or drug use. Clean driving record and valid driver's license. Please meet all necessary requirements before applying!